The first five years of my post-college life were spent working for a large financial firm in New York City. Like many young people, I had long dreamed of life in the big city following graduation. Almost immediately, though, I knew it wasn't for me. During the rare moments when my corporate overlords allowed me to take a break from Excel, I would walk up and down Park Avenue considering how I was going to make my escape. 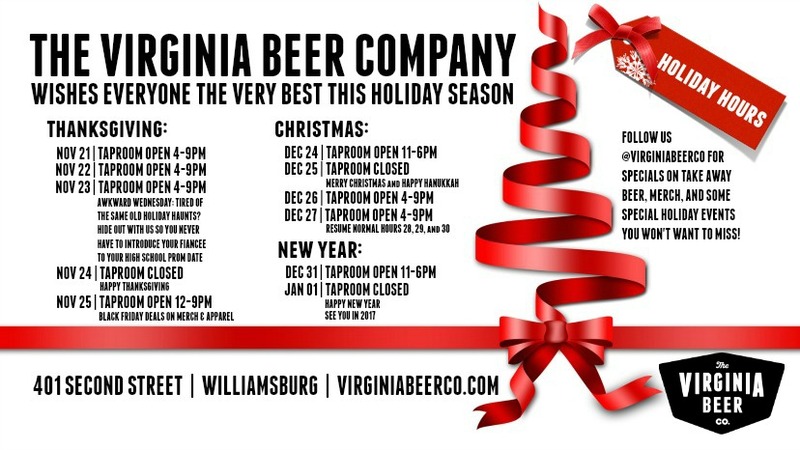 The quite obvious end to this tale is that I decided to co-found The Virginia Beer Company. The second-place finisher in the derby is much harder to guess: teaching. I almost certainly would have attempted to become a teacher if the idea opening a brewery had never germinated into a real business. And I know exactly what I would have taught: history! I fell in love with history in high school and entered William & Mary knowing that I would become a history major. I loved everything about my time studying history and still, to my fiction-loving wife's total disdain, choose historical non-fiction as my primary source of pleasure reading. I don't get to write about history very often anymore, so I am pretty excited to share some history as it relates to 401 Second Street!